Aloha from Poipu! 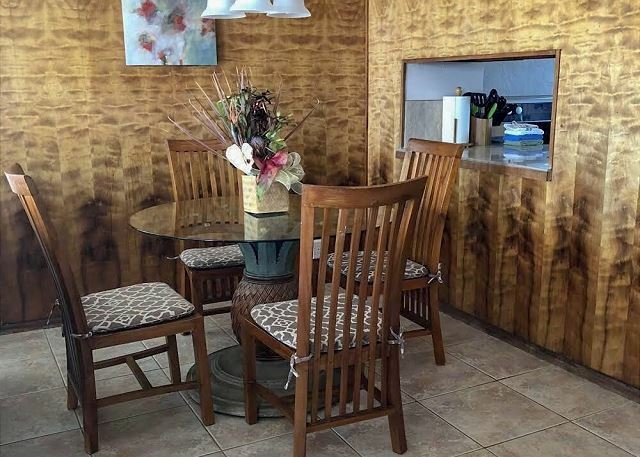 Looking for a relaxing haven with a stunning ocean view in the heart of sunny Poipu, Kauai? Look no further. 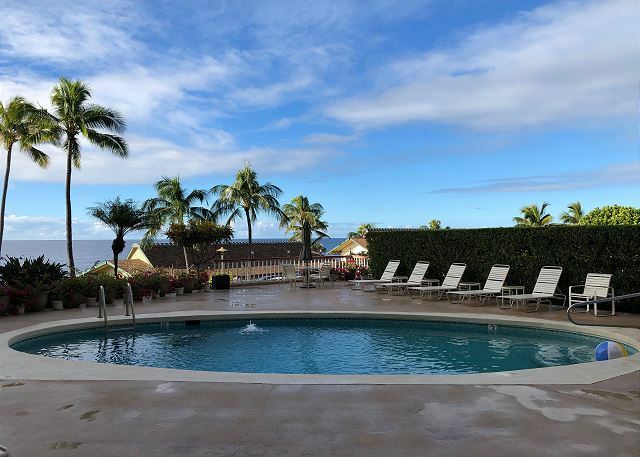 Our 2-bedroom, 2-bathroom is the perfect getaway for family and friends to relish panoramic sunsets, lounge by the pool, or enjoy an island meal at the barbecue. 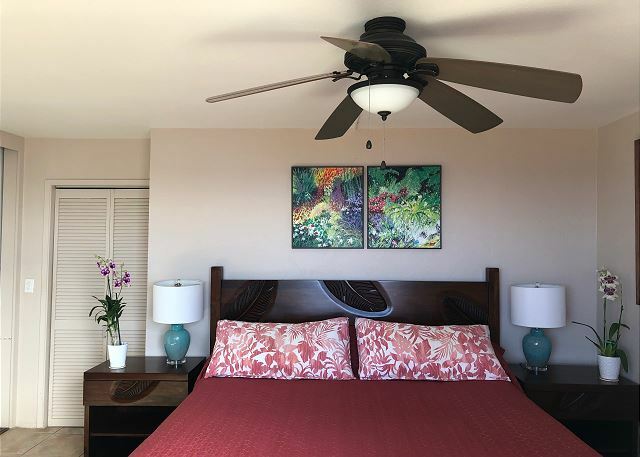 The unit is within walking distance to the main attractions of Poipu and is conveniently located for you to easily explore all the beauty, fun and adventures that await you on the island. 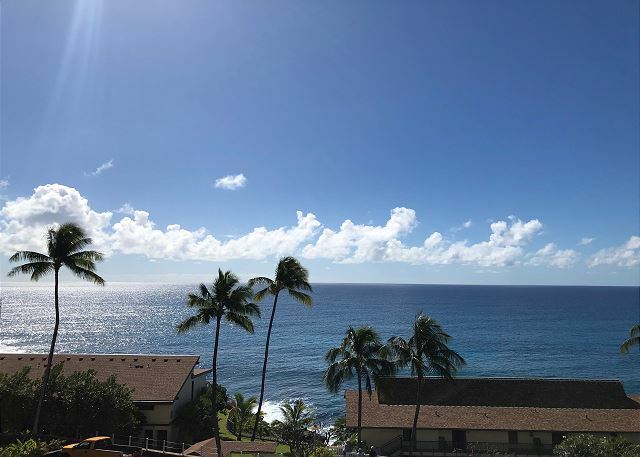 Activities nearby: several golf courses, snorkeling, swimming, hiking, shopping, restaurants, farmers markets and much more. R&R Realty & Rentals (Mike) is excellent to work with and provided my wife and I with another great vacation condo. The location was perfect and the view is incredibly beautiful. 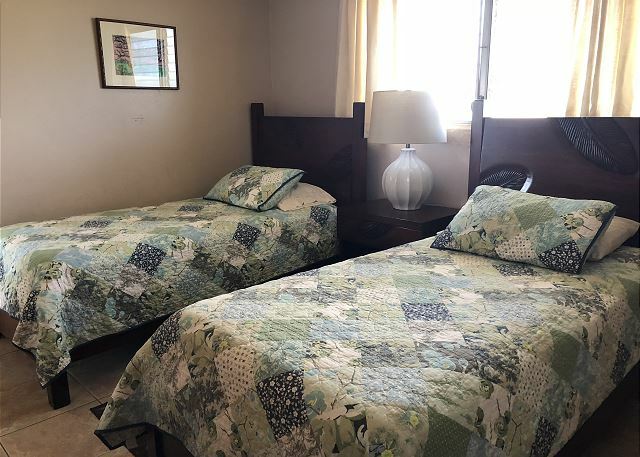 The outside of the property is very well maintained and keep clean. The unit has had some updates done to it but could use so TLC in the kitchen. Everything worked in the unit and the washer & dryer was a plus. The only thing missing is air conditioning, it does get very hot inside but manageable. We kept the curtains closed during the day when we were out. If you stay in more then this does takes away from the view. The only real issue we had was the overwhelming odor of marijuana coming from the bathroom vent and patio doors. We believe it was coming from someone who is a resident of the propery. We never said anything but recommend it be looked into. The best part is the location and the view. 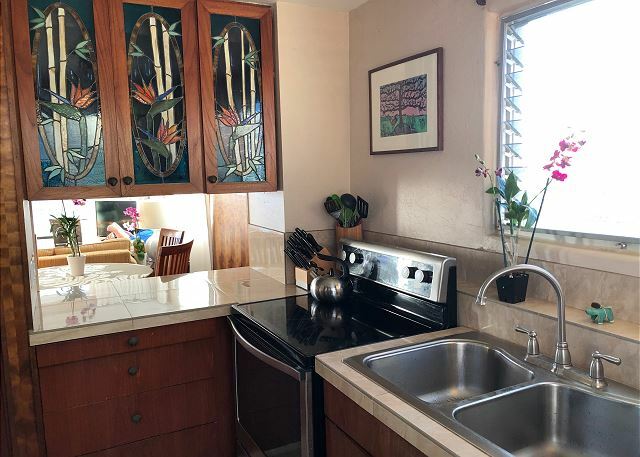 Fully appointed Sunset Kahili #408 with dramatic Sunset views of whole South Coastline of Kauai. Responsive management, fully appointed apartment/condo with Washer/Dryer. Will return soon!